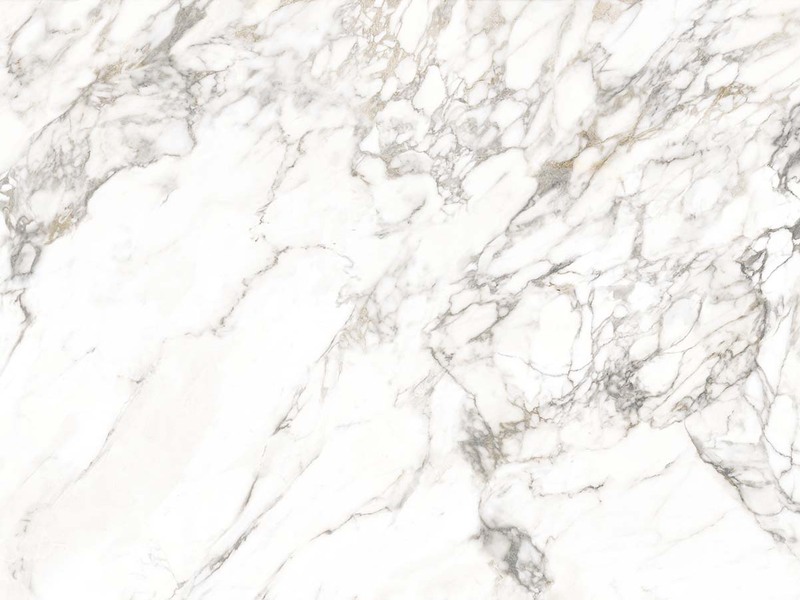 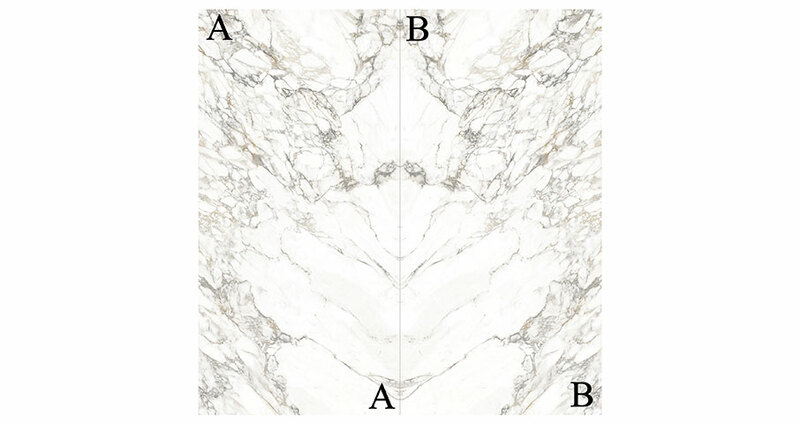 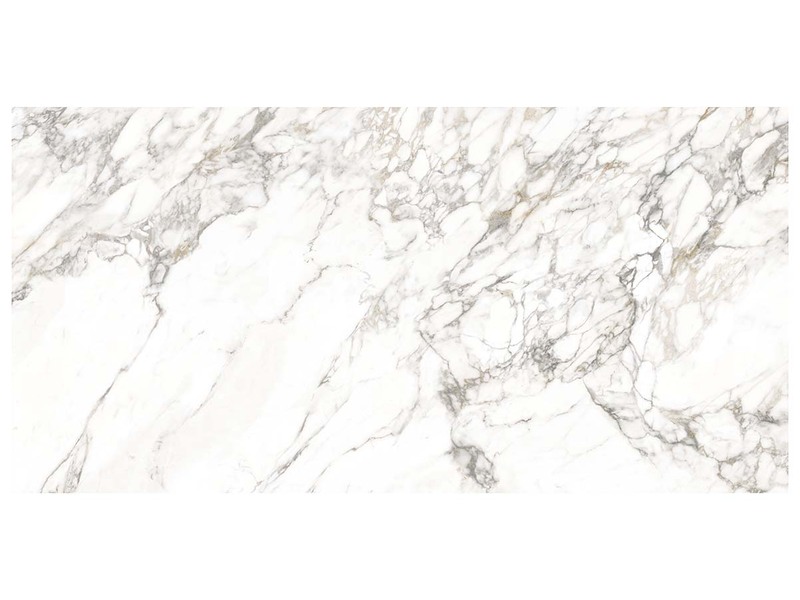 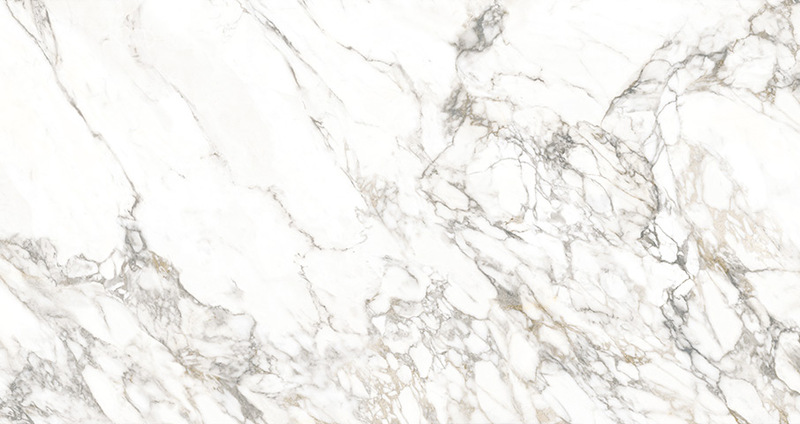 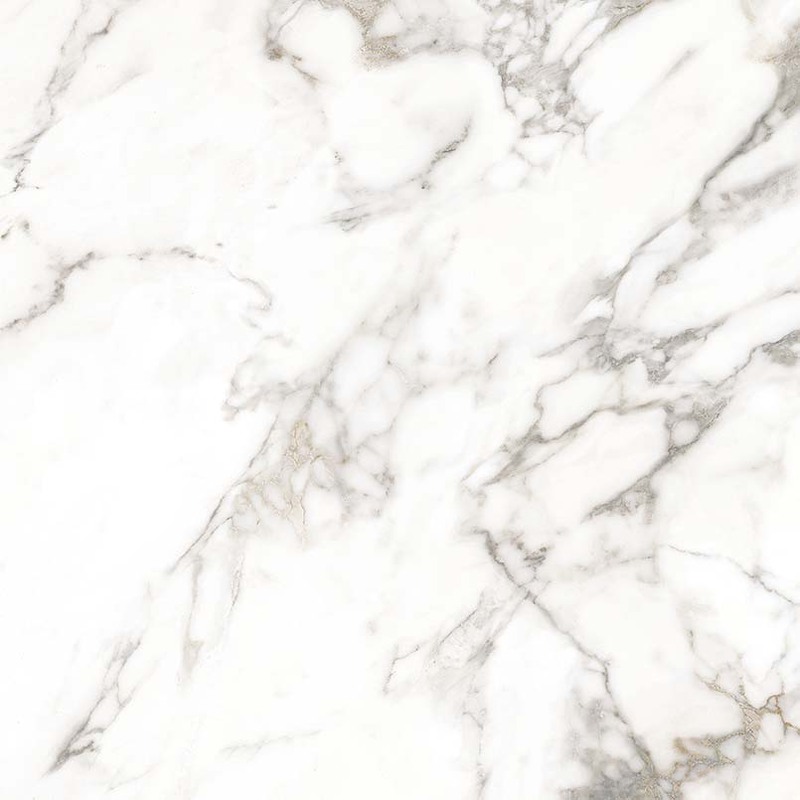 A creamy white background and iconic gray veins come together beautifully in our Arabascato Visio book matched porcelain slabs from our Stile Collection. 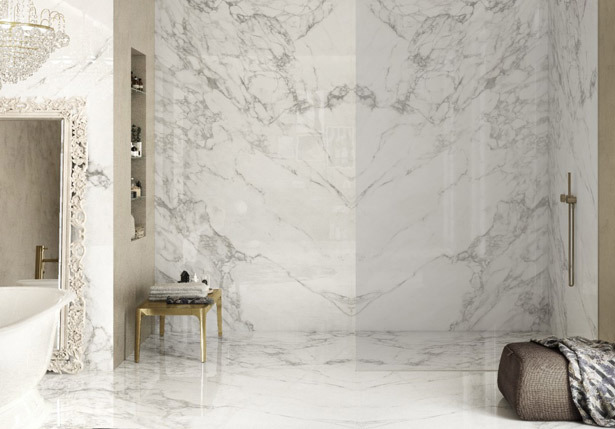 With a polished finish, these 63x126 porcelain slabs are perfect for creating dramatic accent walls, fireplaces, and even waterfall islands. 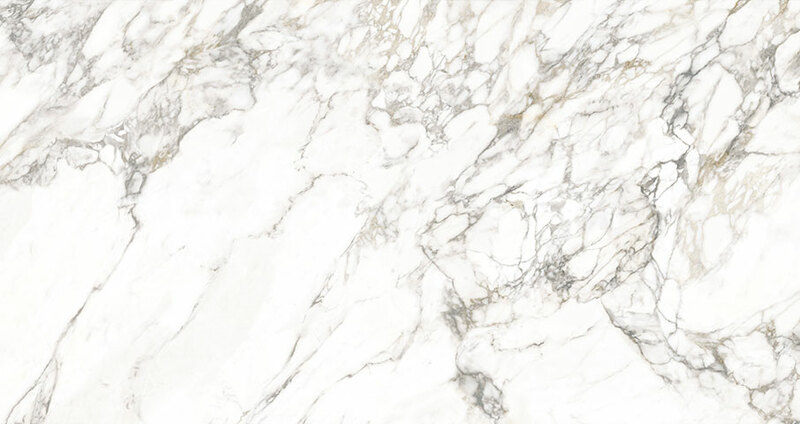 Durable, easy to clean, and requiring no ongoing maintenance, they are also an excellent choice for showers.